Wireless charging has been around since the late 19th century, when electricity pioneer Nikola Tesla demonstrated magnetic resonant coupling – the ability to transmit electricity through the air by creating a magnetic field between two circuits, a transmitter and a receiver. But for about 100 years it was a technology without many practical applications, except, perhaps, for a few electric toothbrush models. Wireless charging is making inroads in the healthcare, automotive and manufacturing industries because it offers the promise of increased mobility and advances that could allow tiny internet of things (IoT) devices to get power many feet away from a charger. The wireless charging circuit board used for Ossia's Cota RF technology, which can send power over distances greater than 15 feet. The most popular wireless technologies now in use rely on an electromagnetic field between a two copper coils, which greatly limits the distance between a device and a charging pad. That's the type of charging Apple has incorporated into the iPhone 8 and the iPhone X.
Ikea's wireless charger line-up, which includes a pad that's capable of charging three devices at once (center). It works like this: A magnetic loop antenna (copper coil) is used to create an oscillating magnetic field, which can create a current in one or more receiver antennas. If the appropriate capacitance is added so that the loops resonate at the same frequency, the amount of induced current in the receivers increases. This is resonant inductive charging or magnetic resonance; it enables power transmission at greater distances between transmitter and receiver and increases efficiency. Coil size also affects the distance of power transfer. The bigger the coil, or the more coils there are, the greater the distance a charge can travel. In the case of smartphone wireless charging pads, for example, the copper coils are only a few inches in diameter, severely limiting the distance over which power can travel efficiently. But when the coils are larger, more energy can be transferred wirelessly. That's the tactic WiTricity, a company formed from research at MIT a decade ago, has helped pioneer. It licenses loosely-coupled resonant technology for everything from automobiles and wind turbines to robotics. In 2007, MIT physics professor Marin Soljačić proved he could transfer electricity at a distance of two meters; at the time, the power transfer was only 40% efficient at that distance, meaning 60% of the power was lost in translation. Soljačić started WiTricity later that year to commercialize the technology, and its power-transfer efficiency has greatly increased since then. In WiTricity's car charging system, large copper coils – over 25 centimeters in diameter for the receivers – allow for efficient power transfer over distances up to 25 centimeters. 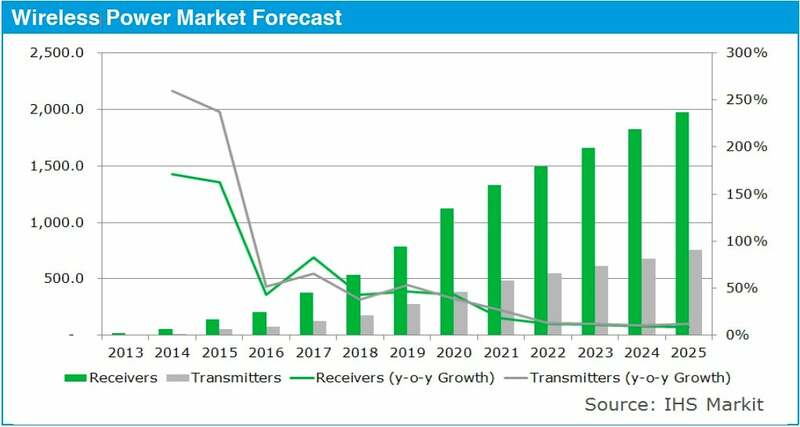 The use of resonance enables high levels of power to be transmitted (up to 11kW) and high efficiency (greater than 92% end-to-end), according to WiTricity CTO Morris Kesler. WiTricity also adds capacitors to the conducting loop, which boosts the amount of energy that can be captured and used to charge a battery. The system isn't just for cars: Last year, Japan-based robotics manufacturer Daihen Corp. began shipping a wireless power transfer system based on WiTricity's technology for automatic guided vehicles (AGVs). AGVs equipped with Daihen's D-Broad wireless charging system can simply pull up to a charging area to power up and then go about their warehouse duties. While charging at a distance has big potential, the public face of wireless charging has until now remained with charging pads. "In terms of progress and industry readiness, charging pads have been shipping in volume since 2015; charging bowls/through-surface type are really just launching this year; and charging across a room is probably still at least a year away from commercial high-volume reality–- although the new Energous products show this method working over very short range right now, e.g., a couple of centimeters," Green said. Just over 200 million wireless charging-enabled devices shipped in 2016, with almost all of them using some form of inductive (charging pad) type design. In September, Apple finally chose a side after lagging behind other handset manufacturers for years by embracing WPC's Qi standard, the same that Samsung and other Android smartphone makers have been using for at least two years. The first class of mobile device wireless chargers emerged a six or so years ago; they used tightly coupled or inductive charging, which requires users to place a smartphone in an exact position on a pad for it to charge. "In my mind, lining it up exactly to charge doesn't save you a lot of effort from just plugging it in," said Benjamin Freas, principal analyst for Navigant Research. While early adopters and techies bought into inductive charging, others did not, Freas said. 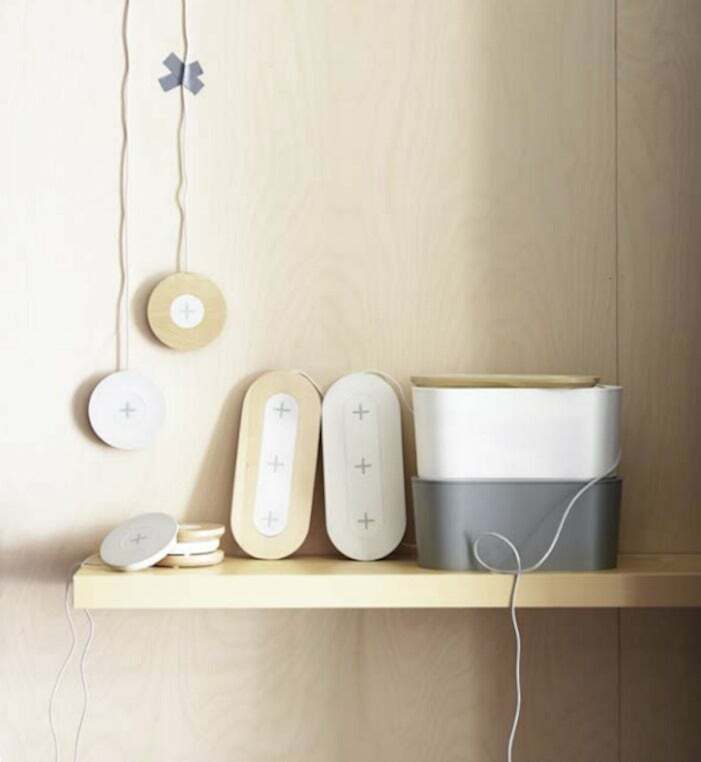 Belkin's BoosUp wireless charging pad is similar to others in that it contains a copper transmitter charging, a chipset to control the power delivered to a device, and foreign object detection technoogy to ensure objects that shouldn't recieve a charge don't. In September 2012, the Nokia 920 became the first commercially available smart phone to offer built-in wireless charging capabilities based on the Qi specification. For several years, there were three competing wireless charging standards groups focused on inductive and resonance charging specifications: The Alliance for Wireless Power (A4WP), the Power Matters Alliance (PMA) and the Wireless Power Consortium (WPC). The latter's 296-member roster includes Apple, Google, Verizon and a veritable who's who of electronics manufacturers. The WPC created the most popular of the wireless charging standards – Qi (pronounced "chee") – which enables inductive or pad-style charging and short-distance (1.5cm or less) electromagnetic resonant inductive charging. The Qi standard is being used by Apple. The Apple Watch, launched in 2015, uses a inductive wireless charging cable, which still requires the device to be tethered to a cord. 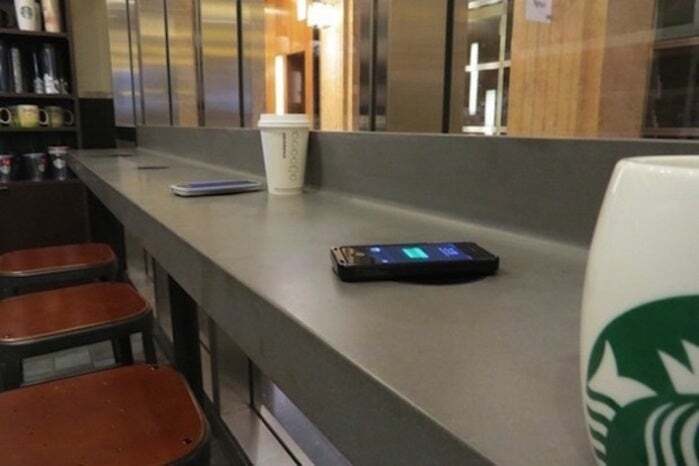 The PMA and its Powermat inductive charging specification found success by piloting its wireless charging technology in coffee shops and airports. Starbucks, for example, began rolling out wireless charging pads in 2014. With competing standards, support for mobile devices remained fragmented, with most mobile devices needing an adaptive case to enable a wireless charge. In 2015, the A4WP and the PMA decided to band together to form the AirFuel Alliance, which now has 110 members, including include Dell, Duracell, Samsung and Qualcomm. In 2014, Starbucks announced it would roll out wireless charging based on the Powermat specification for its customers in the U.S. at nearly 8,000 coffee shops. As part of the AirFuel Alliance, Duracell Powermat claims it has more than 1,500 charging spots in the U.S., and through Powermat's partnership PowerKiss, 1,000 charging spots in European airports, hotels and cafes. 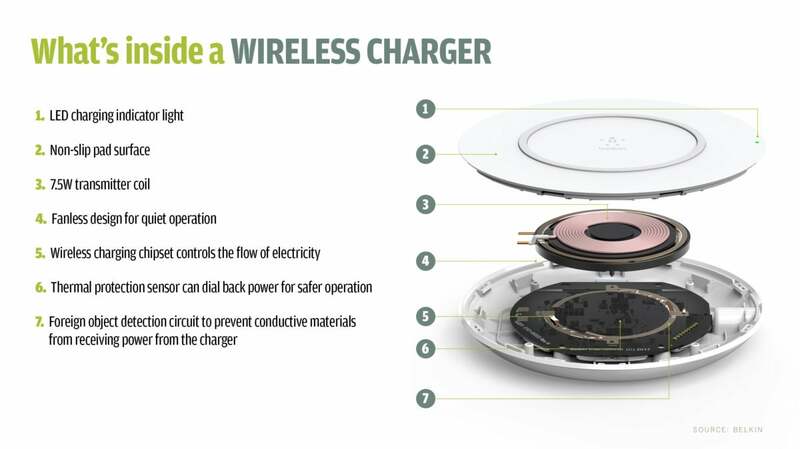 AirFuel has also announced wireless charging at some McDonald's restaurants. That, according to Freas, is one way wireless charging could see wider adoption. AirFuel has focused on two charging technologies: electromagnetic resonant and radio frequency, which offers the ability to move around a space and still have your mobile device charge. "We've seen clear market indicators that resonant and RF are the way to go. Both technologies offer distinct advantages in terms of spatial freedom, ease of use, and ease of installation – big factors in creating market value and customer satisfaction," said AirFuel spokesperson Sharen Santoski. "And we believe resonant is the best technology to enable widespread public infrastructure deployment in the near term." As a result, Santoski said, a growing number of coffee shops, restaurants and airport have deployed resonant-based wireless charging stations. "Taiwan is investing heavily, as is China," Santoski said. AirFuel recently announced a project with the Taoyuan Airport Metro, which is putting Resonant charging in its trains and stations. And furniture maker Order Furniture has created a new line of Resonant-enabled furniture. "If in every restaurant and coffee shop you have it, then people will be more likely to use it and get a pad to charge at home," Freas said. Most of these projects are still just pilot programs, Freas said, adding that consumers and businesses are less likely to want tightly coupled charging and more likely to opt for loosely coupled resonant charging That's because loosely coupled charging provides more spatial freedom – the ability to simply drop a phone, tablet or laptop on a desktop and have it charge. In July, Dell released a Latitude laptop that incorporates resonant wireless charging from WiTricity, a Watertown, Mass.-based company that licenses technology originally developed at the Massachusetts Institute of Technology (MIT). The Dell wireless charger offers up to 30W of charging power, so a Latitude laptop will charge at the same rate as it were plugged into a wall outlet. 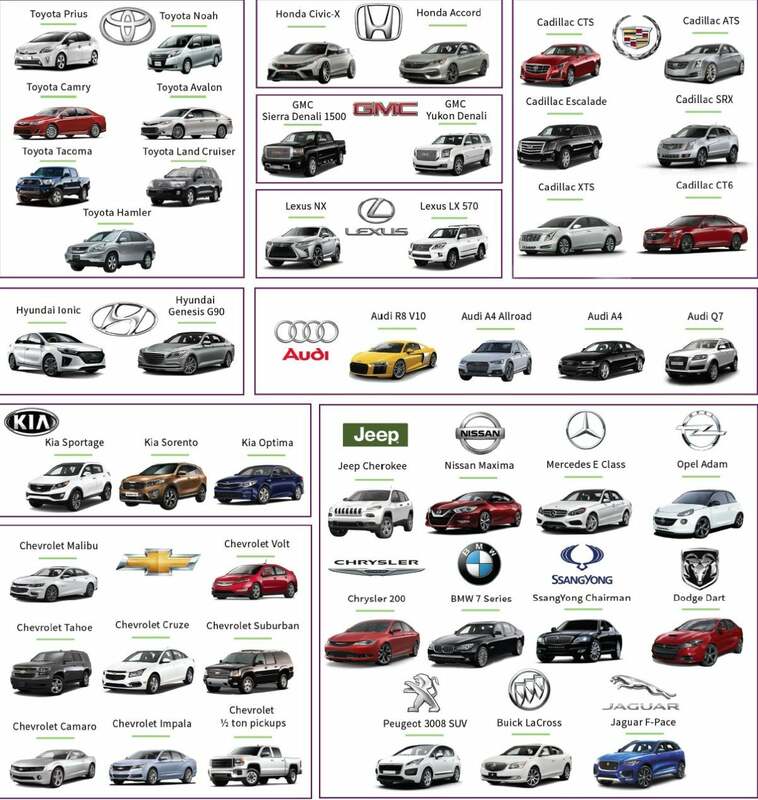 But WiTricity's main focus is the auto industry. The company, which is part of the AirFuel Alliance, expects a number of electric car manufacturers to announce wireless charging for their vehicles, according to WiTricity CEO Alex Gruzen. The company's electromagnetic resonant technology allows power to transfer at distances of up to about nine inches away from a charging pad. That would allow electric cars to charge just by parking on top of a large charging pad. For example, Mercedes-Benz this year will roll out S550e plug-in hybrid sedans with the ability to use WiTricity's technology; the S550e can simply park over a pad and they begin charging even more efficiently than if it were plugged in. Nearly 50 car models now offer Qi-based wireless charging in their cabins. "Our wireless charging can be 93% efficient from end to end – from the wall to what's being delivered to the battery," Kesler said. This month, Apple surprised some industry watchers by purchasing PowerByProxi, a New Zealand-based company developing loosely-coupled resonant charging technology that's also based on the Qi specification. 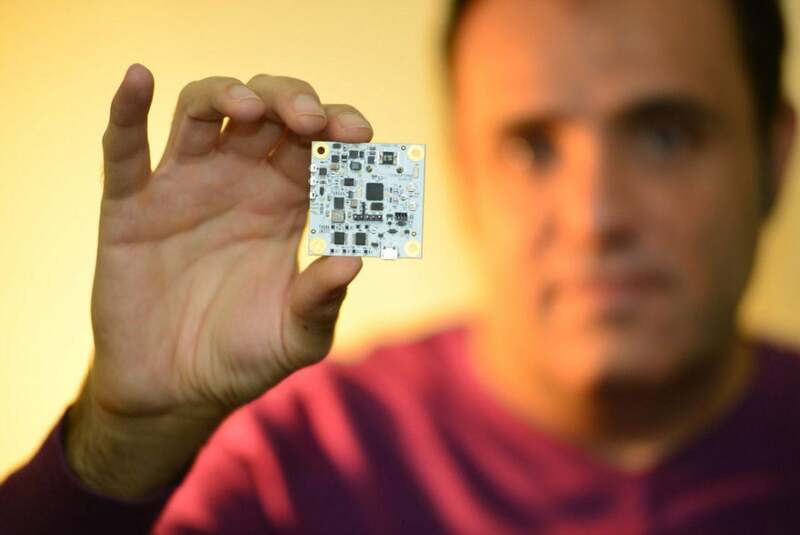 PowerbyProxi was founded in 2007 by entrepreneur Fady Mishriki as a spin-out from the University of Auckland. PowerByProxi has showcased charging boxes and bowls into which multiple devices can be placed and charged at the same time. The Aukland-based company got its start selling large-scale systems for the construction, telecommunications, defense and agriculture industries. One such product is a wireless control system for wind turbines. PowerByProxi, a member of the WPC's Steering Committee, has also miniaturized its technology and placed it into AA rechargeable batteries, eliminating the need to embed the technology directly into devices. The wireless technology takes up about 10% of the AA battery height. Apple could use PowerByProxi's technology to expand its use fo wireless charging beyond just smartphones, using it, for instance, to charge TV remote controls, computer peripherals, or any number of devices that require batteries. While the most visible use of wireless charging technology has been in mobile device charging pads, the technology is also making inroads into everything from warehouse robots to tiny IoT devices that otherwise would need to be wired or powered by replaceable batteries.